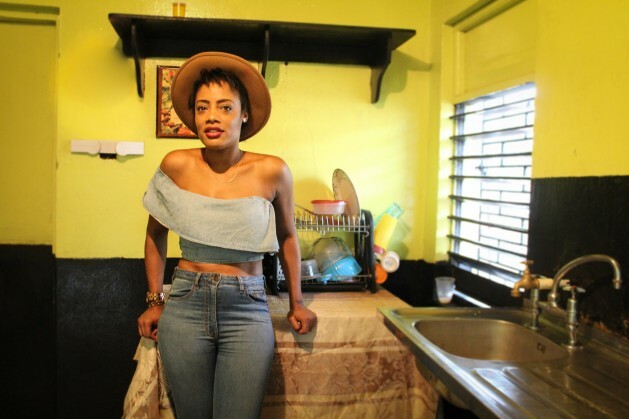 Shackelia Jackson is the sister of Nakiea who was killed by the Jamaican police in 2014. KINGSTON, Jamaica, Mar 22 2017 (IPS) - As a relative of a young man killed by the police in Kingston, Jamaica, many people have asked me how my family copes with the pain, with having lost a part of us, with the immense frustration of not having found justice for Nakiea. The answer is not easy. Some days, the strength to continue fighting for justice comes from within, others, from the support we have received from so many people from around the world. Some days feel lonely, as if we were the only ones going through this pain. But a recent visit to Brazil with Amnesty International showed me that we are not alone. We are not alone in our pain, nor in the seemingly endless struggle for justice. Unlawful police killings and impunity is a tragic phenomenon that crosses borders across this continent. From the USA to Brazil, hundreds of young men – most of them black, most of them poor – are killed by the police. Hardly any officers are taken to justice to respond for their actions, for the immeasurable suffering they cause to families like mine. Unlawful police killings and impunity is a tragic phenomenon that crosses borders across this continent. I had never been to Brazil before. I had never expected to feel so close to home. While in Rio de Janeiro, a city where police officers killed two people every day in the run up to the 2016 Olympic Games, I met with some of the many relatives with whom I share the same struggle for justice. Zé Luis is one of them. He lost his son Maicon, after police shot him dead in 1996. Police said it was in self-defense. Maicon was two years old. No one was ever held responsible for this killing. In 2016 the statute of limitation expired which means the case will now never be brought to a national court. My heart broke with the families I met in Brazil. But these stories, and my story, although immeasurably tragic are the catalysts augmenting my drive to never stop. To not only engage the Jamaican authorities in a conversation but to ensure that we work towards preventing what happened to my brother from happening to others. The only way for impunity to flourish, is for good people to be silent and to fight alone. Our strength comes from working together. I fight for me, for my brother and for all those around me, in Jamaica and beyond. So their fight becomes my fight. Their world becomes mine. We become stronger together and the memories of their love ones and desire to save those who remain are our collective impetus. And this fight is also yours because Nakiea was my brother but tomorrow this tragedy could happen to you, to your brother, to your father, to your friend. And as long as justice is not done, we are all in danger. I fight because I have no other choice, to stop would mean I am giving another police officer permission to kill another of my brothers.